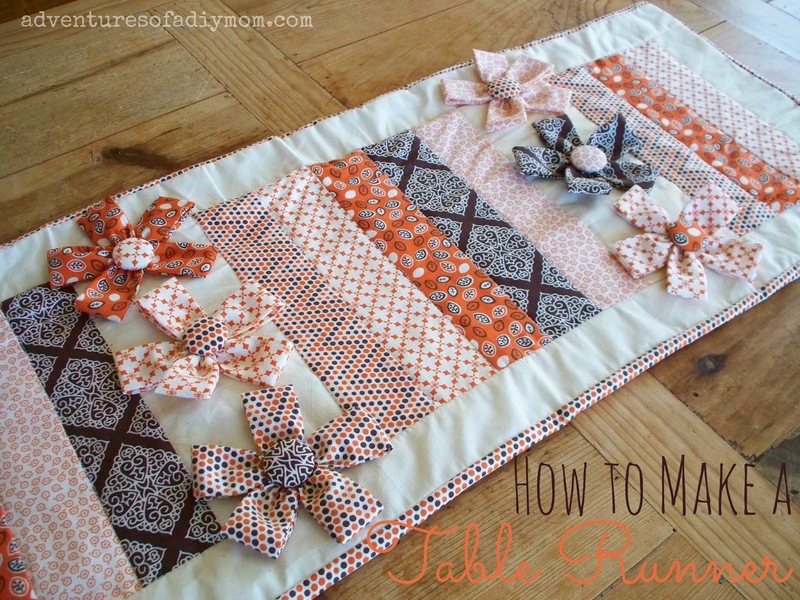 Learn to make a table runner with this easy to follow tutorial. The runner is made of strips of fabric. I added some dimensional interest with the fabric flowers. Change up the colors and it will work for any season. I wanted to make a table runner with this fun fall fabric I found on clearance. I searched the internet for a tutorial, but I couldn't find what I was looking for. So I made up my own pattern and I'm sharing it with you. I am not a quilter. I love to sew and make dresses or crafts. I am not precise enough, and don't know enough about it to consider myself an expert at the craft of quilting. I would welcome any helpful tips that may make this project better. That being said, I think the table runner turned out rather well. And I love the dimension the fabric flowers give to it. 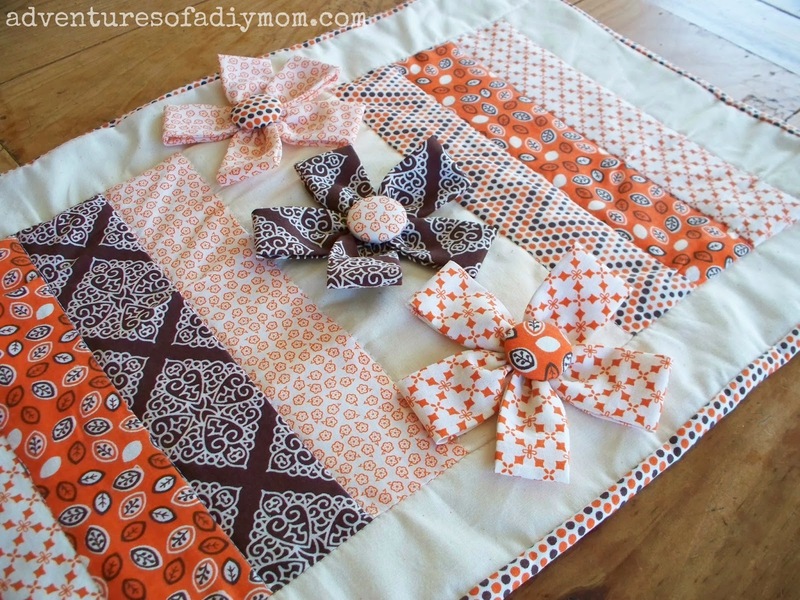 Want to make you're own table runner? 13 pieces coordinating colors - 2 1/2" x 10 1/2"
2 pieces muslin - 4 1/2" x 10 1/2"
2 pieces 2 1/2" x 10 1/2"
Approx. 35" x 15" of each batting and fabric. Don't cut this until you've sewn your top together. Lay out all your strips in the order you would like them, setting aside the long border strips for now. Start with your muslin border, then place three 2 1/2" prints, then a 4 1/2" muslin strip, then five 2 1/2" prints, then a 4 1/2" muslin strip, then three 2 1/2" prints and finally your muslin border. 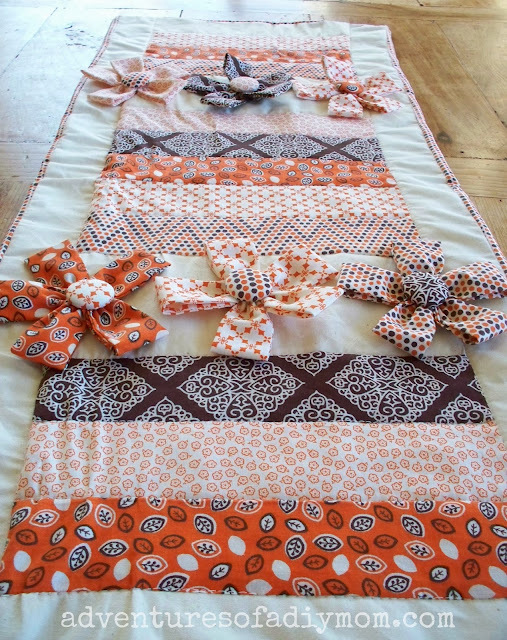 Sew each strip to the next with right sides together using a 1/4" seam allowance. Press flat. Next measure and cut your side borders to length. Then sew them along the sides. Now it's time to add your binding to the top. For more in depth instructions on how to sew on the binding see my How to Sew a Quilt Binding. For now just sew it to the top of the runner. Cut out your batting and fabric. You want to make sure to cut them an inch or so bigger around the entire top. I didn't do this, and I ended up needing that extra one one side. You can always trim it down later. Pin all the pieces together. Now if you're into quilting, you would probably hand quilt along all the seams. I am way to impatient to sit and do that, so I machine stitched it. 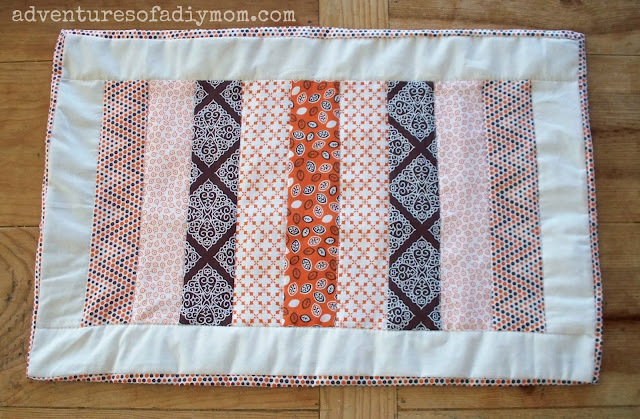 One tip I have for those machine stitching - sew along all the short seams before stitching along the long border strips. I started on the borders and it ended up getting bunched up. So learn from my mistake. Next finish up your binding. You will have to do this by hand. 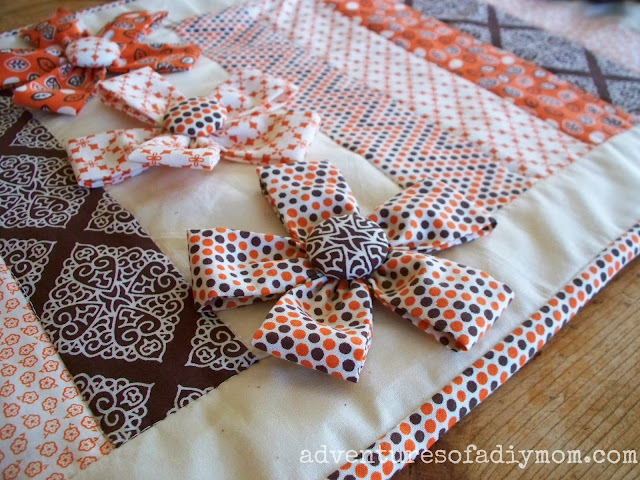 You can see how I do it by reading my How to Bind a Blanket Tutorial starting at step 4. Here's an overhead shot. You can see that it's not perfectly straight. I'm just too impatient to take my time and make sure all my seams are perfect. But it still turned out pretty darn cute. I also made a smaller one with the leftover strips. This one sits on my bar. This looks so cute and fun! I'm not a huge quilter but I think I might try this. Pinning! I love the textures and colors of this table runner...though, I am afraid my kids would want to take it off the table and sleep with it! :) Pinning for sure! Hopping over from Tater Tots and Jello party. I'm about half way through my own version, I'll definitely check out your binding tutorial when I get to that bit. G+ folowing so I can find you again! Thanks for linking up to Take-A-Look Tuesday over at Sugar Bee Crafts - you were featured today! Your runner is so festive for fall. 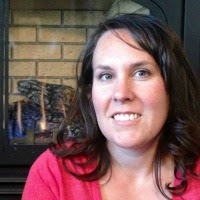 Thanks for sharing at Cooking and Crafting with J&J. 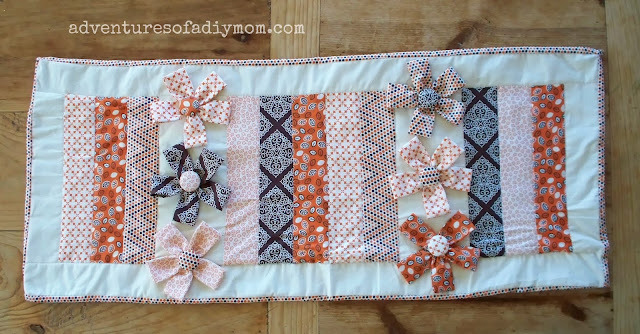 This is such a beautiful table runner! I love the fabrics you used, and the flowers are lovely! Pinning! How pretty - I love the addition of the flowers! Thanks for sharing with us at The Blogger’s Pit Stop!